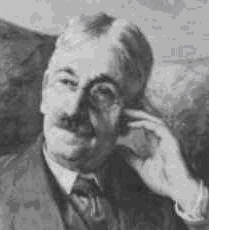 John Dewey (1859–1952) was one of the United States’ best known academics, philosophers and public intellectuals. From humble beginnings in Vermont, he managed to achieve a PhD in philosophy and become a professor at the University of Chicago. It his here that he began experimenting with educational reform, establishing his famous ‘Laboratory School’ in 1896 to develop and test ‘progressive’ methods of teaching. This is where Dewey’s lifelong concerns with the social outcomes of education began, and particularly his interest in the ways in which education could enhance democracy. He moved to Columbia University in 1904, where he was a professor of philosophy, regularly lecturing in the University’s Teachers’ College. He worked at Columbia for the rest of his life, writing a number of books on education and making a major contribution to the American philosophical school of ‘Pragmatism’. By this, Dewey meant that philosophy had to be grounded in the practical conditions of everyday human life, and that human knowledge should be linked to practical social experience. This philosophy underpinned all his educational thinking. It is the cardinal precept of the newer school of education that the beginning of instruction shall be made with the experience learners already have; that this experience and the capacities that have been developed during its course provide the starting point for all further learning. [H]ow shall we … introduce into the school … occupations which exact personal responsibilities and which train the child in relation to the physical realities of life? … [For] such work engages the full spontaneous interest of the children. It keeps them alert and active, instead of passive and receptive; it makes them more useful, more capable, and hence more inclined to he helpful at home; it prepares them to some extent for the practical duties of later life—the girls to be more efficient house managers, if not actually cooks and seamstresses; the boys … for their future vocations. [By] the introduction into the school of various forms of active occupation … the entire spirit of the school is renewed. It has a chance to affiliate itself with life, to become the child’s habitat, where he learns through directed learning, instead of being only a place to learn lessons having an abstract and remote reference to some possible living to be done in the future. It gets a chance to be a miniature community, and embryonic society. To do this means to make each one of our schools an embryonic community life, active with the types of occupation that reflect the life of larger society. Dewey, John. 1938 (1963). Experience and Education. New York: Collier Books. pp. 17–19, 40, 46, 74. —. 1915 (1956). The School and Society. Chicago: University of Chicago Press. pp. 12, 13, 14, 15, 18, 29.